1995 Crosswind Music. All Rights Reserved. Accompanying Study Guide Available here. 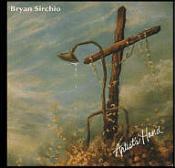 All songs on this recording were written, recorded, and produced by Bryan Sirchio except where noted otherwise. Additional engineering, production, mixing, and mastering by Tom Blain of Ultimate Audio. "Can't Talk" was written by Jim Weber. Copyright 1985, The Sparrow Corporation.